Eschew the tourist crowds and head to Teijo national park and Arboretum Mustila. Popular historic sites such as Seurasaari Island and Open-Air Museum and Hietaniemi Cemetery are in your itinerary. 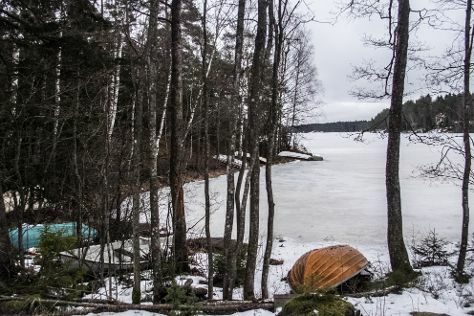 Explore the numerous day-trip ideas around Helsinki: Niivermaki Nature Conservation Area (in Kouvola), Hiidenvuori (in Iitti) and Porvoo (Castle Hill, Cathedral of Porvoo, & more). Spend the 8th (Sat) exploring nature at Nuuksio National Park. Spend the 15th (Sat) exploring nature at Sipoonkorven Kansallispuisto. Next up on the itinerary: hike along Tulliniemi Nature Path, identify plant and animal life at Hagen - Ramsholmen - Hogholmen, tour the pleasant surroundings at Bellevue Beach, and take in the dramatic natural features at Hiidenkirnut. To see photos, reviews, and tourist information, read Helsinki holiday builder app . If you are flying in from United States, the closest major airport is Helsinki Vantaa Airport. Expect a daytime high around 65°F in June, and nighttime lows around 50°F. Finish your sightseeing early on the 19th (Wed) to allow enough time to travel back home.